Today we were in eat-down. It was time to get the leftovers out of the refrigerator. John ate the leftover shrimp curry in a soup for lunch while I ate most of the piece of Dutch crunch bread with some older tomatoes, a few stray pieces of cold cuts, and some tired lettuce. 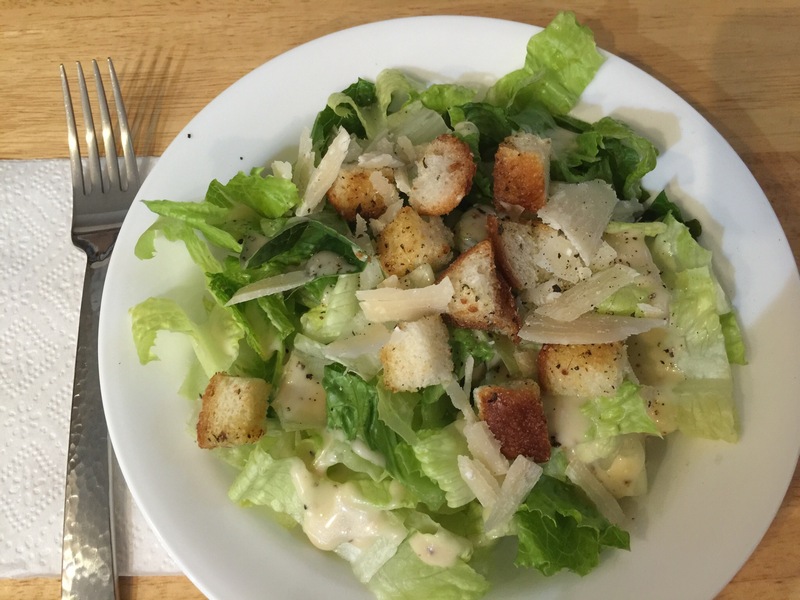 First up tonight, make a Caesar salad with the rest of the Romaine, toast up some croutons from the last bits of bread, and shave some Parmesan. 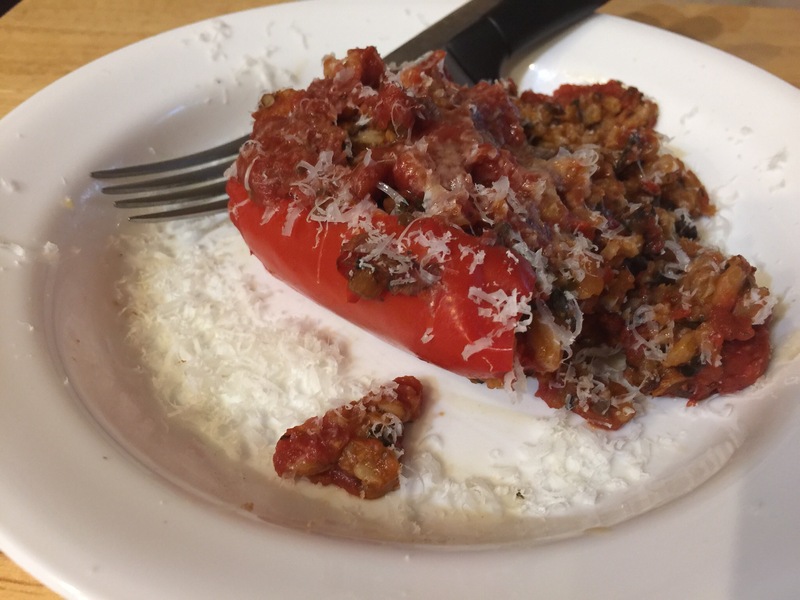 For the main course we finished the last of the farro and mushrooms stuffed in red peppers. This was the third time this week! Maybe next time I won’t make so many portions! This entry was posted in Vegetables, Vegetarian and tagged bell pepper, Caesar salad, farro, mushrooms. Bookmark the permalink.